I’m guilty of not paying sufficient attention to looking after my nails and cuticles. So much so in fact that my sister insisted I try out the L’Occitane Shea Nail and Cuticle oil. After using it for a couple of weeks I am so surprised at the difference it has made to my nails. This is a skincare must-have especially if you wear gel or shellac nails on a regular basis. I had gel nails for about six months last year and I’ve been getting shellac nails done here in London since March so it’s safe to say I really need to pay attention to the condition of my nails. It’s no secret that shellac and gel can damage your nail beds and while I found mine were ok with gel nails they have become very weak when I’ve used shellac nails. My sister Stephanie is a nurse and always ensures to use hand creams and nail oils to keep her hand and nails in top condition. She recommended I try out the L’Occitane nail oil and after testing it in store I decided to pick it up. 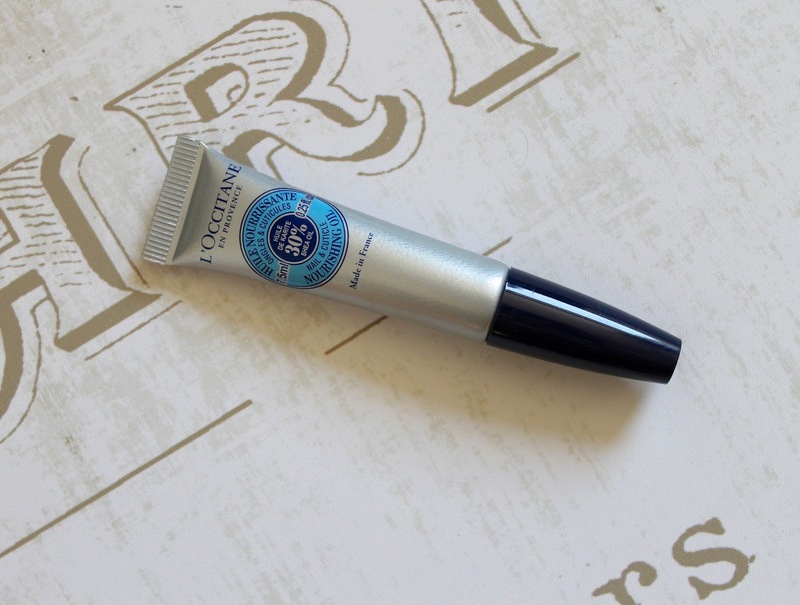 It comes in a tiny little tube which contains 7.5ml of the oil (with 30% shea extract) for £12. The brush applicator is quite easy to use by placing the brush against your cuticle and squeezing gently on the tube. Follow with your manicure and gently massage the oil into your cuticles. The frequency of use really depends on how often your nails need some extra love. I’ve been using it every few days but it can be used on a weekly basis if your nails are in relatively strong condition. One little tip is to apply it at night before bed to allow the oil to do it’s best work overnight. I’m definitely going to be looking after my hands and nails a lot more in the future so I’d love to know if you have any recommendations for products I could try. 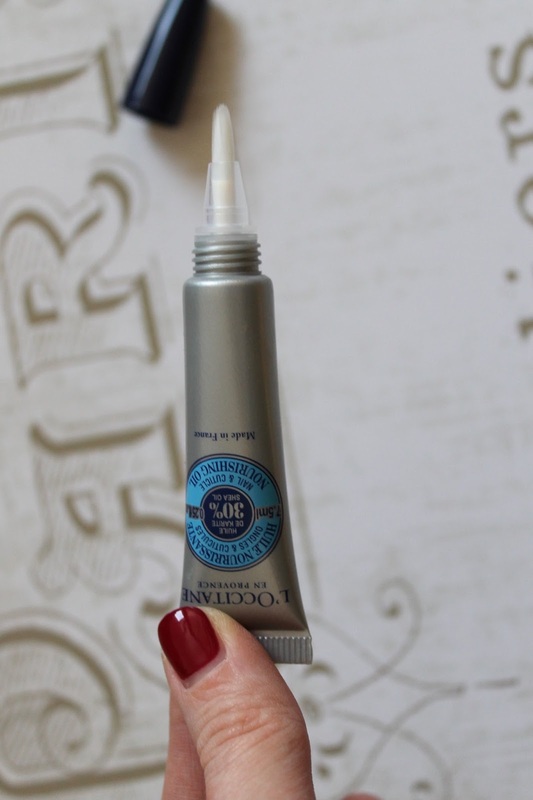 Let me know if you’ve ever used the L’Occitane nail oil before too.